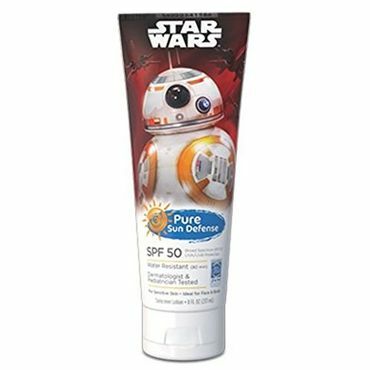 Bottom Line You'll find Pure Sun Defense Lotion SPF 50 on many drugstore shelves. It brilliantly blocks both UVA and UVB rays, delivering true SPF 50 protection, and it's water-resistant for 80 minutes. It's fragrance-free, too, to avoid irritating kids' skin.